Make yourself well informed with the following tips for all types of garage doors. Easy to follow. Having a simple garage door may work its wonders, however there is also nothing wrong with revamping your garage door with art. Garage Door Repair Shoreline also recommends suiting the look of your garage door according to your personality and taste. Therefore, if you love art, then you can paint the walls and make it a makeover. 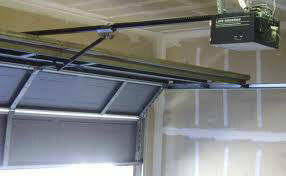 The old adage of prevention being better than cure is also applicable for your garage door. For one, if you make sure that your garage door and its components are properly cleaned and lubricated, you can expect a perfectly working door. In fact, Garage Door Repair Shoreline suggests a routine check up on your door to spot potential issues and fixing them right away. If your garage door won’t open, there are a number of simple checks which could possibly correct the issue. Firstly, is there any power? This is a common cause of faults, so check the breaker hasn’t been overloaded by a refrigerator, freezer or power tools in the garage. Second, check for any loose or broken components. Pay attention to tracks, rollers and springs which may be bent or broken and need replacement. Most modern garage door openers of sophisticated brands have very similar characteristics. They will differ once you start adding supplementary safety features and systems. These will make them stronger and help you in preventing unfortunate accidents. The best choice depends on your personal needs. Garage door cables may either get loose or come off the drum. In either case, you will have problems with the entire system and that's why you should repair them right away. If the cables come off the drum, the torsion spring garage door mechanism won't work properly and if they loosen up, the door will move slowly or won't be able to open/close properly compromising your safety. Create your own design is the concept of customization and you can seek help from an architect so he can draw what you want. Choose the most suitable material that will match the design and your needs. 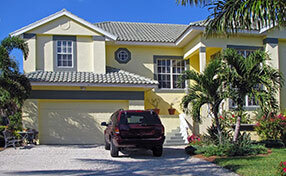 The color combination should be considered and must add balance to your home. The greater the wire size - the stronger the spring is. You will benefit from getting a stronger component as it will be doing its job reliably for longer. In general, the wire size determines how much weight the spring can lift so it has to be considered in line with the weight of the overhead door.